Today's edition of the Good Stuff begins with some, well, not-so-good stuff, when an ordinary day at the mall for a disabled couple takes a turn for the worse. CNN's Chris Cuomo reports. Carolyn and her husband have cerebral palsy. Both are wheelchair-bound, but they are undeterred. Carolyn reviews novels for a living, and her husband bought her a tablet in hopes of making her job easier. The pair was patiently waiting to board a bus home. Two thieves had other plans. They scoped the couple out, spotted Carolyn's tablet, made the grab, and ran off. But here's where the bad becomes good: the victims have already forgiven the perpetrators. "If they stole from me, they've got bigger problems than I do," Carolyn said. And the other promising element? Mall security cameras captured the likenesses of the two thieves, increasing their chances of being caught and brought to justice. If you have any information about their identities, please contact the Seattle Police Department. See the full story at CNN affiliate KCPQ. 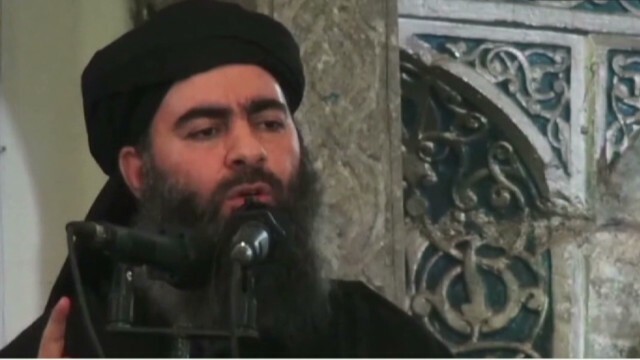 The family of a slain journalist asks the leader of ISIS to answer for his killing. The Justice Department will investigate the Ferguson Police Department. And the Ebola virus death toll passes 1,900. It's Thursday, and here are the 5 things to know for your New Day.